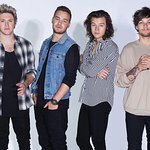 In honor of National Foster Care Month, Kids in a New Groove, a Texas non-profit that seeks to change the lives of children in foster care through music mentorship, is auctioning off five pairs of authentic autographed shoes worn by the sensational teen band One Direction. Each May, National Foster Care Month provides an opportunity to shine a light on the experiences of the more than 400,000 children and youth in the American foster care system. The campaign seeks to raise awareness about the urgent needs of these young people and encourages citizens to become informed and get involved – as foster or adoptive parents, volunteers, mentors, employers or in other ways. 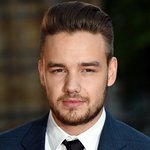 One Direction is helping out with this worthy cause by donating their shoes for charity; the “Kicks for Kids” contest will feature all five band members’ autographed pairs of shoes in a virtual online race to reach the highest bid. While the highest bidder of each pair will win that band member’s shoes, the winner of the pair with the highest total bid will also win a CD signed by the entire band. Kids in a New Groove will also be giving away a signed CD from One Direction in a related Facebook contest. To enter, go to Kids in a New Groove’s Facebook page. Bidding on eBay will start on Monday, May 6th at noon and will end Monday May 13th at noon. A winner for the Facebook contest will be picked the day the auction ends. All monies raised from “Kicks for Kids” will go to Kids in a New Groove to help provide youth in foster care with private music lessons and brand new musical instruments through their Lessons are the Lifeline program. For more information, visit KidsInANewGroove.org. To learn more about the charity auction, click here.